The movie was released in the U.S.during 1980 directed by James Bridges along with producers Irving Azoff and Robert Evans. The movie is based on the romantic drama story written by Aaron Latham.John Travolta plays is Bud Davis that moves from a small Texan town to live with his Uncle Bob. Uncle Bob Davis is played by actor Barry Corbin. Uncle Bob family live in the suburbs of Houston where there are jobs in the oil refiner industry. Bud Davis needs to work so that he can save some money and return home to buy land to settle down on to raise a family. However Uncle Bob takes young Bud to a local honky tonk knowing as Gilley's. A country singer by the name of Mickey Gilley owns and operates the honky tonk bar where cow girls and cow boys from the city can find fun at night. Mickey Gilley along with country singers Johnny Lee and Charlie Daniels play a role in the movie. A regular at the honky tonk is an independent young woman that Bud Davis falls in love and marries at the honky tonk. Debra Winger plays the wife Sissy Davis to Bud. Throughout the marriage there is consistent conflict of what the role of a woman is and what they are allowed to do in public. 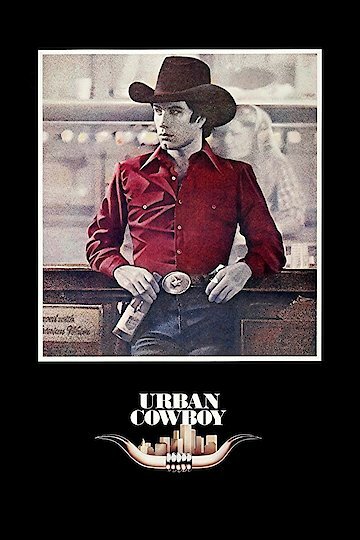 Urban Cowboy is currently available to watch and stream, download, buy on demand at Amazon Prime, Starz, Amazon, Vudu, FandangoNow, iTunes, YouTube VOD online.